Run “Setup.exe” for Installation Infineon usb driver. Click Exit button after installation completion. 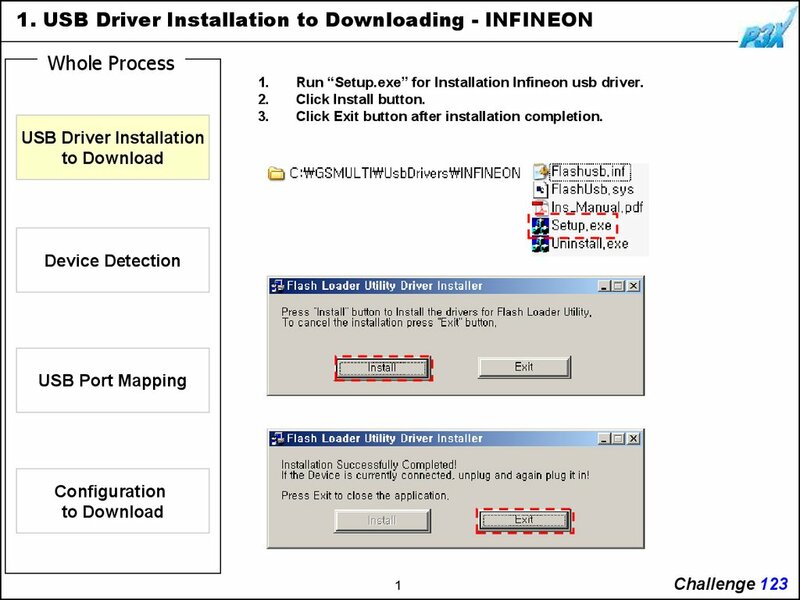 for Installation Infineon usb driver. Connect cable within the device. In case of Infineon, “Flash Loader utility” will be installed. 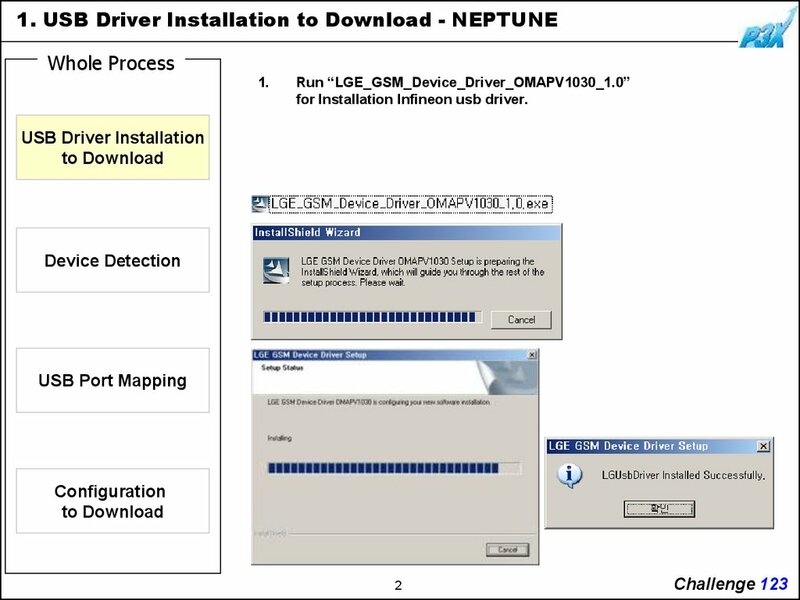 In case of Neptune, “LGE GSM Device OMAPV1030” will be installed. installation from No. 1 to No. 3 for each the usb port. Eg. 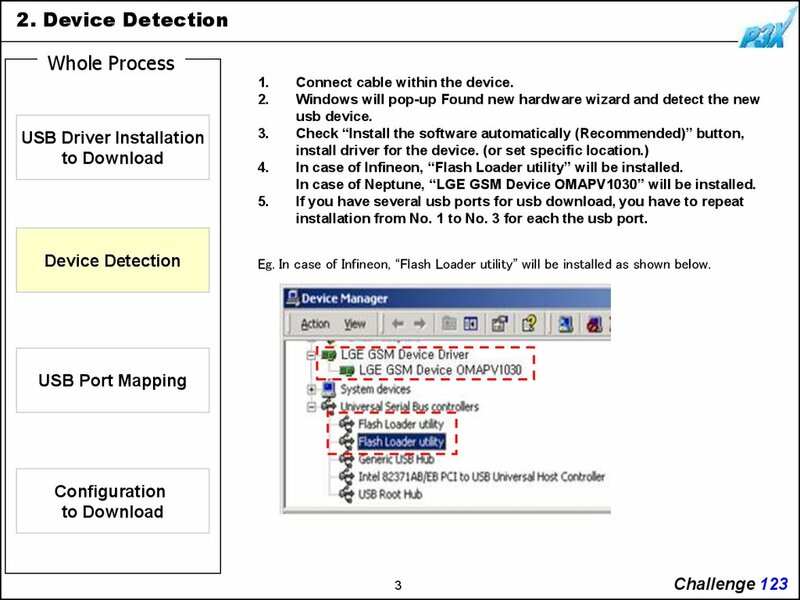 In case of Infineon, “Flash Loader utility” will be installed as shown below. 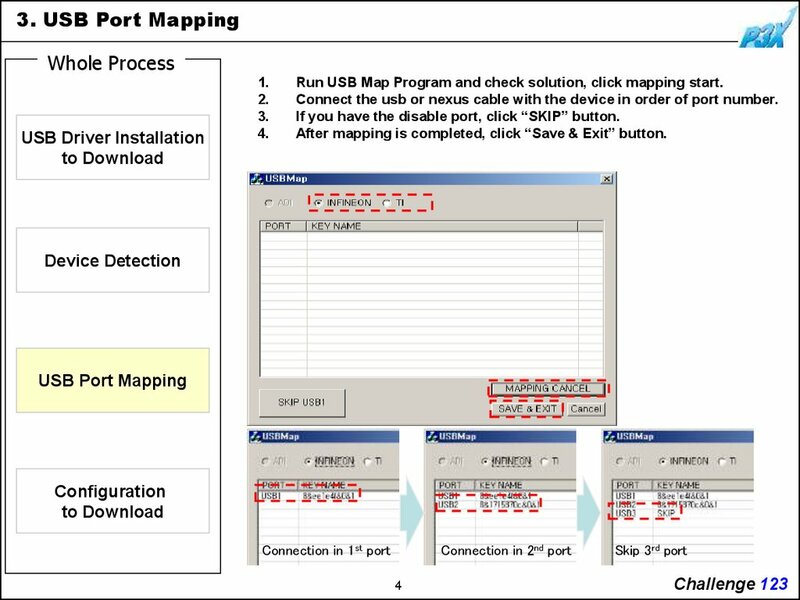 Run USB Map Program and check solution, click mapping start. Connect the usb or nexus cable with the device in order of port number. If you have the disable port, click “SKIP” button. After mapping is completed, click “Save & Exit” button. Run GSMULTI after version 3.0. 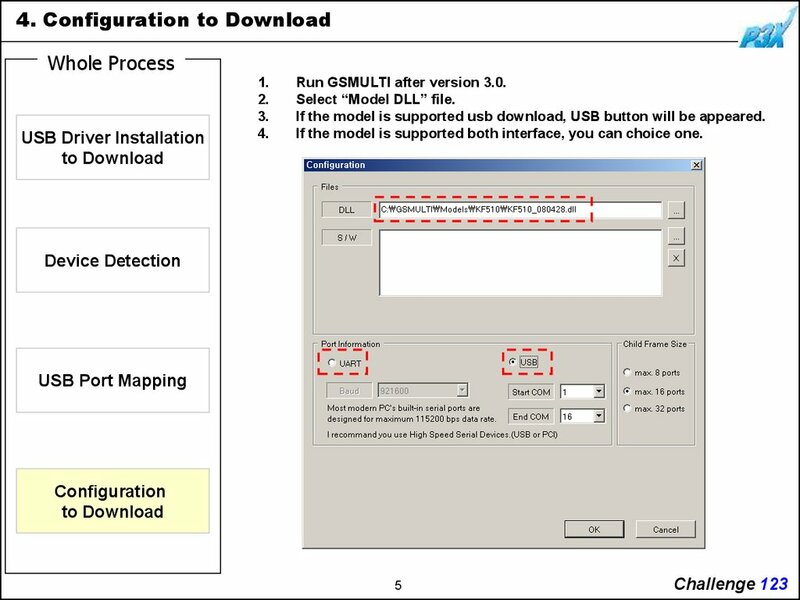 If the model is supported usb download, USB button will be appeared. If the model is supported both interface, you can choice one.